Enjoy a delicious steak cooked to perfection with all the fixings! It is for a great cause! 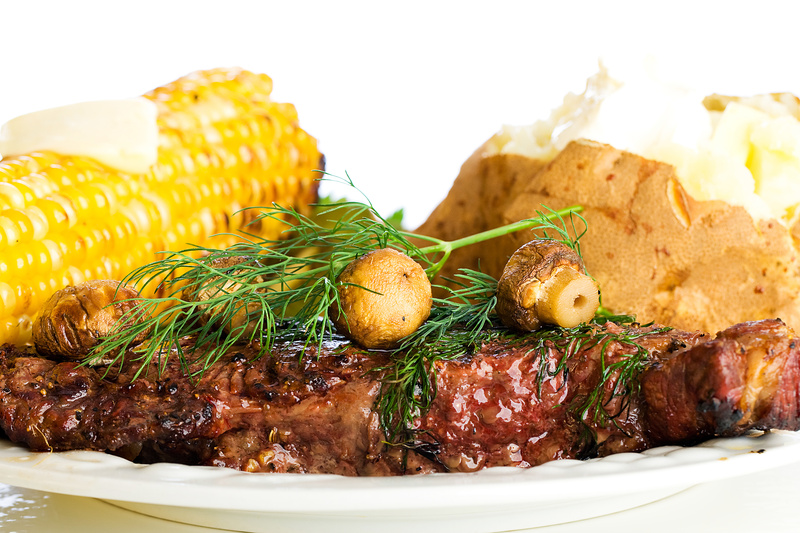 Enjoy a delicious steak cooked to perfection with all the fixings! Locally grown buttered corn, a baked potato, salad, dessert and a drink! Each dinner ticket comes with an entry to our prize raffle with thousands worth of goodies! Best of all the proceeds go to furthering the humanitarian efforts of Rotary! You can pick up your tickets at the will-call line at the front gate on the date of the event (8-19-18). Just show your ID!